This integrated faceplate meets the ANSI/TIA/EIA 570-A standard recomendation that for each (Grade 1) cabled location, atleast one Category 5 cables and one 75-ohm coaxial cable connection to each location. For each cabled location, grade 1 provides a generic cabling system that meets the minimum requirements for basic telecommunications services. 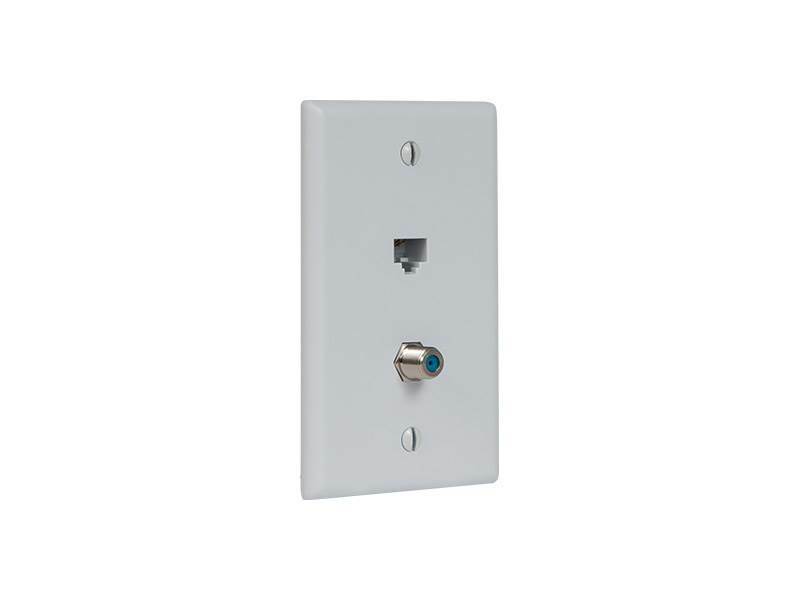 It consists of one integrated CAT 5e data port with 110 punch down termination and one (CATV) connection. The standard recommends one of these types of wall plates installed in every room of a residence.